We will build-out, finish and furnish your property! Interiors by Steven G is one of South Florida's most-celebrated and best-known full service interior design companies. Zilbert has teamed up with Steven G to offer a series of design packages for a variety of purposes. From budget packages for investors looking to "finish" a preconstruction condo for rent or resale, to complete remodelling projects for the grande estate homes of South Florida, there is a design package suited for every homeowner. 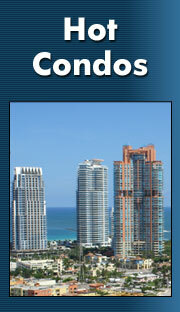 For the investor purchasing a preconstruction condo to resell. This package provides a build-out of the apartment (flooring, paint, lighting, furniutre) to give it that "model" look, to give buyers something amazing to move into. Design and furniture prices start at around $50,000 (not including flooring). Both landlords and investors that are looking to create an ideal furnished apartment to rent out, this package will equip both existing as well as new apartments and homes with furniture, lighting, paint, window treatments and other finishes to give it that "model" look. Design and furniture prices start at around $50,000. When most new luxury condos or homes are delivered to their owners, they are delivered ready for flooring, furniture and other finishes. The Steven G team will help a new owner design their home interiors from beginning to end, including flooring, finishes, lighting, electronics and furniture. Prices are quoted based on the size of the project. As time goes by, many owners of condos and homes notice that it's time to update and upgrade their interior spaces. The Steven G team will assess the existing home, and then plan for a partial or complete interior renovation, incluidng flooring, finishes, lighting, electronics and furniture. Prices are quotes based on the size of the project. Here are some of the amazing finished interiors that were designed and built by Steven G. The look is always something very special, and tailored to the style and tastes of the property owners. In cases where an investor has asked Steven G to build out a property on "spec" (build a property with the intention of selling it), Steven G always produces a design that appeals to just-about everyone. Regardless of the project, the results are extraordinary, and Steven G has many happy customers from over 40 years of being in business. Interiors by Steven G, south Florida’s most prominent interior designers, is one of the regions most successful and versatile full service-interior design firms. The team has traveled throughout the United States designing for developers and private homeowners; Des Moines Iowa, Los Angeles, Texas, Chicago, Connecticut, Rhode Island, Virginia, Maryland, Washington. Interiors by Steven G has been designing for the Lerner Family on numerous projects throughout Washington, Maryland and Virginia as well as The Blairs project for the Tower Companies. Blair Towns, located in Silver Spring, MD is the First Multi-Family in the World to Earn LEED-EBOM. With a 100,000 sq. ft. corporate office in South Florida and a satellite office in Manhattan, Steven G leads a team of talented interior design professionals, fluent in seven languages, who travel throughout the United States and abroad. 95% of this debt free firms business comes from broker and client referrals.